Were you looking for Oregon Wrongful Termination lawsuits? Oregon employees are entitled to certain Oregon employment protections under state law. These Oregon employee state laws set out how much an employee must be paid for minimum wage and overtime, how employment can be terminated and when employees can take leave. Send your Oregon Employment Law claim to a lawyer who will review your claim at NO COST or obligation. As of July 1, 2016, the minimum wage in Oregon is $9.75 an hour. For Portland Metro the minimum wage is $9.75 an hour and for non-urban counties the minimum wage is $9.50 per hour. Non-exempt employees must be paid one-and-one-half times their regular rate of pay for any time worked over 40 hours in a week. Employees must be given a meal period of 30 minutes if they work six or more hours in a work period and paid rest periods of 10 minutes for each four-hour work period, or each period in which more than two hours of a four-hour period are worked. Employees who are paid commission must still receive no less than the applicable minimum wage or overtime wage for their hours worked if they are not exempt from those requirements. 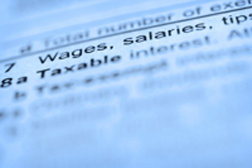 Furthermore, employers may not use an employee's tips to calculate minimum wage. Oregon is an at-will employment state, meaning that without a contract or statute to the contrary, an employer may fire an employee at any time and for any reason, excepting reasons that are discriminatory. Employees can also be discharged without notice. The Oregon Family Leave Act requires employers to provide 12 weeks of unpaid leave per year for birth, adoption or foster care placement of a child, to care for a family member with a serious health condition, for pregnancy disability, or for other reasons. To be eligible, the employee must have been on the job for 180 days. When an employee leaves a job under the Oregon Family Leave Act, that job or a equivalent position must be provided to the employee upon his or her return to work. In addition to state employment law, Oregon employers are subject to federal employment law, including the Fair Labor Standards Act, the Occupational Safety and Health Act and the Family and Medical Leave Act. In situations where state law and federal law differ, the one that provides the greatest advantage to the employee is the guiding act. If you or a loved one has suffered similar damages or injuries, please click the link below and your complaint will be sent to a Oregon Employment lawyer who may evaluate your claim at no cost or obligation.